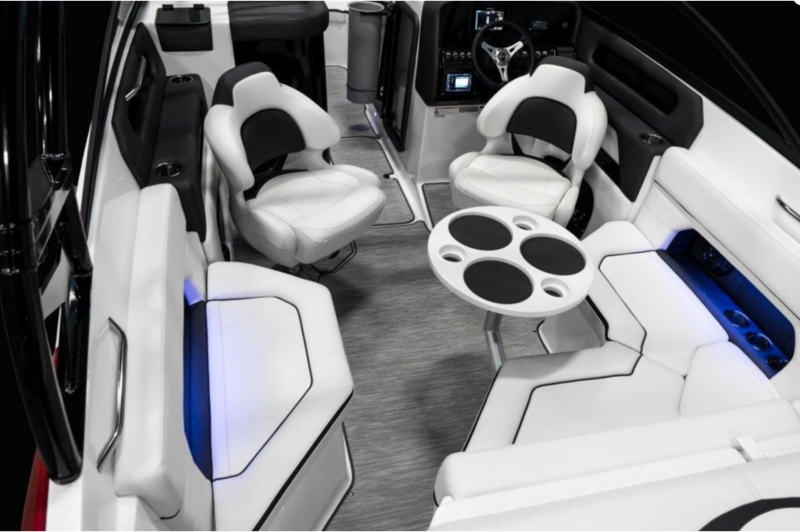 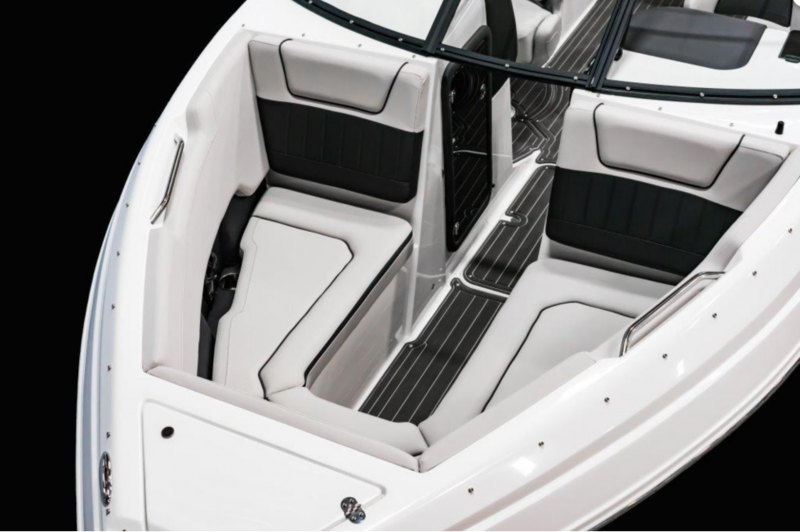 The Q5’s Deep, Hot Tub style bow offers safe riding and comfortable lounging for small children and adults. 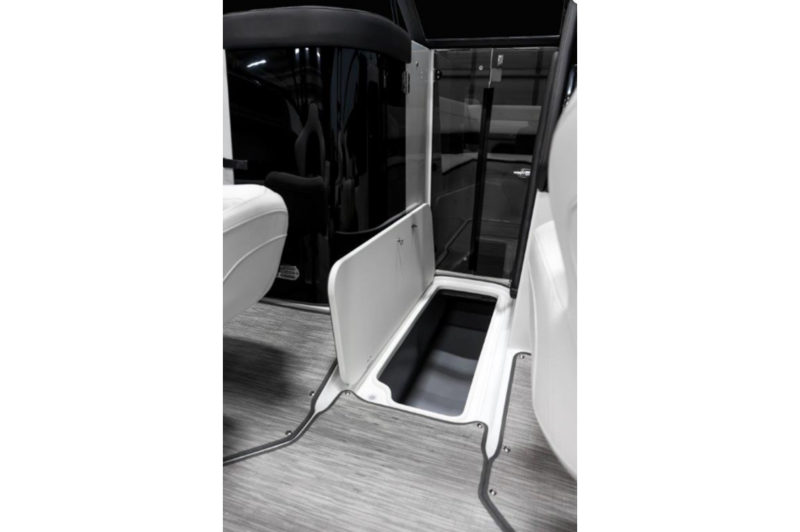 The open-concept floor plan offers plenty of room for family, friends, and Fido. 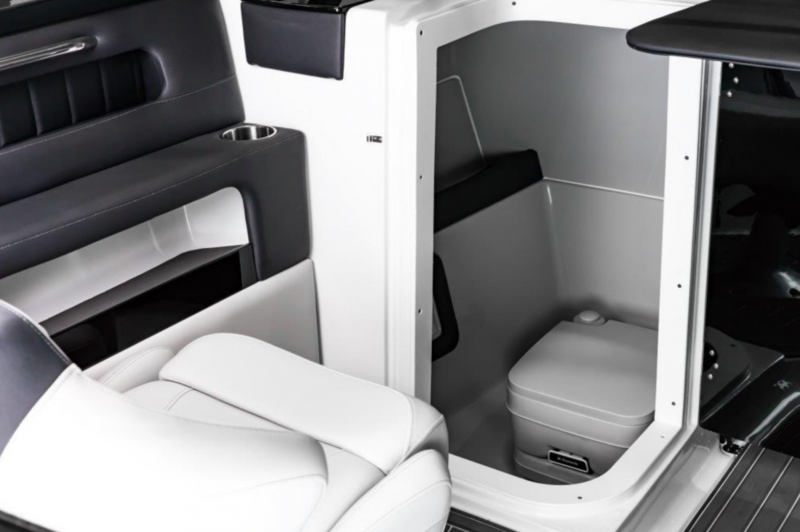 Storage areas, cubby holes, and stainless steel cupholders ensure everyone’s belongings find their place out of the way. 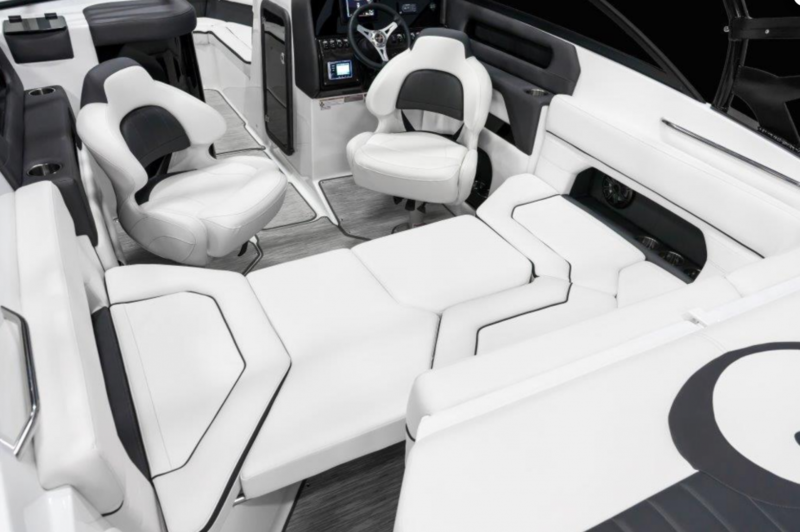 A couple of fun facts on the New Q5 Models. 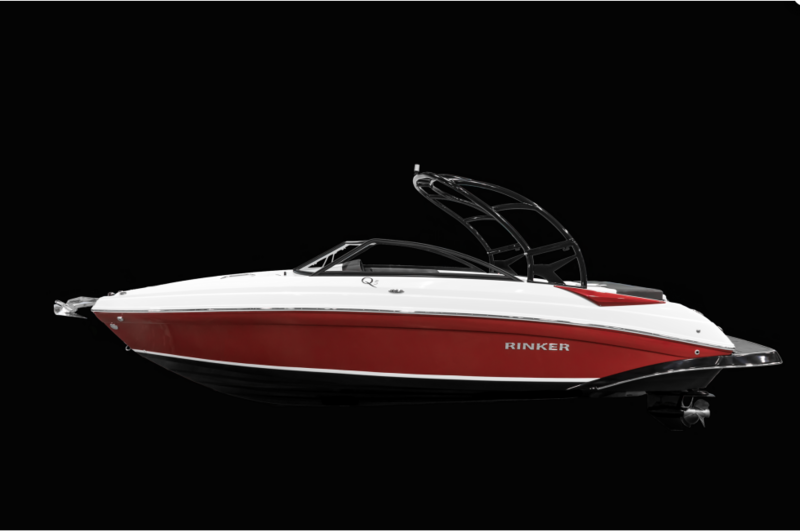 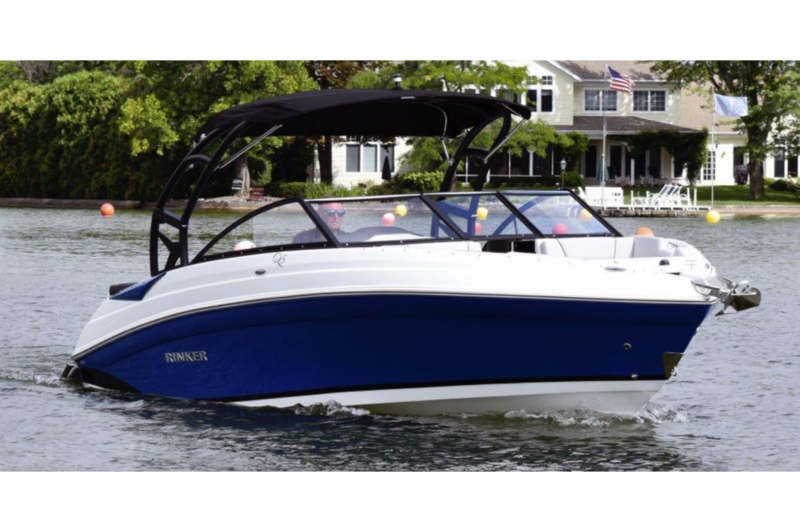 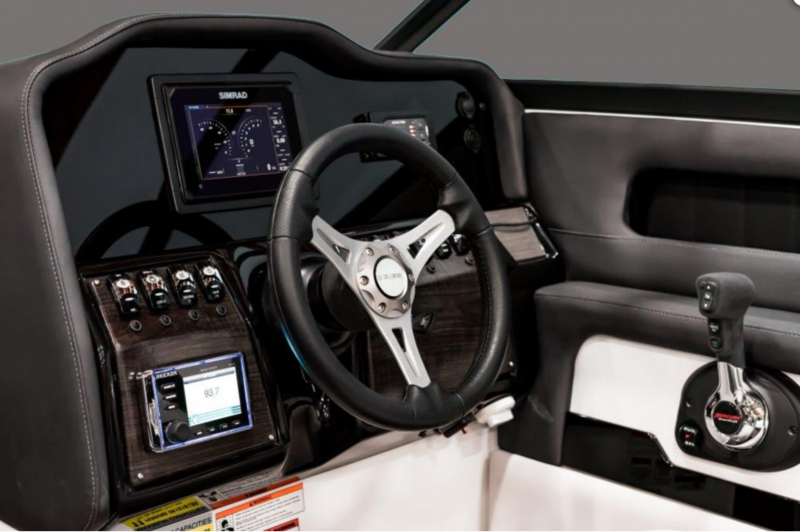 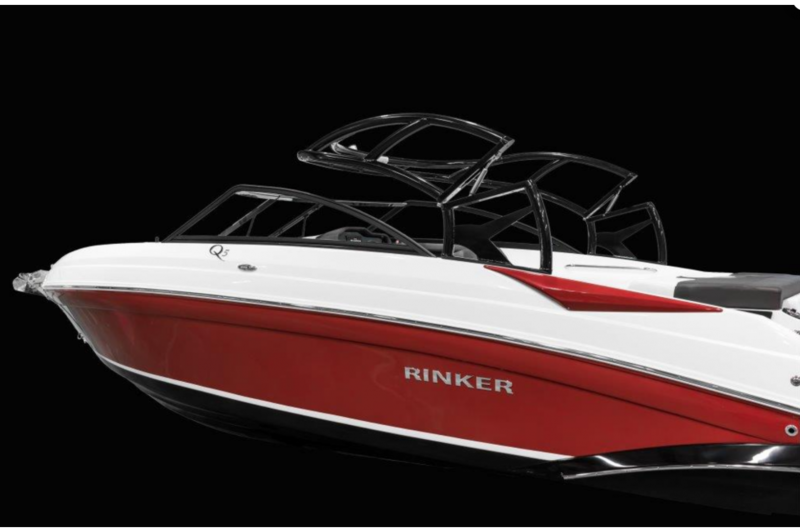 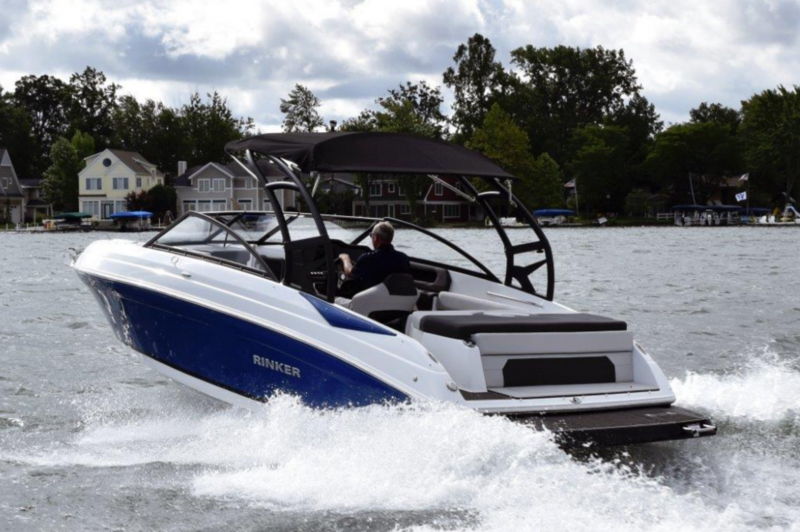 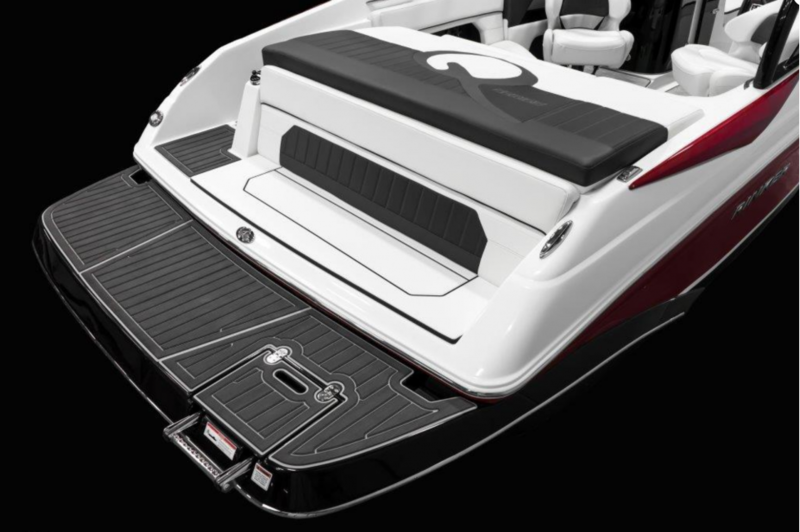 Rinker based the running surface of the boat on their best-selling model in Rinker’s 75 year history – the Captiva 232. 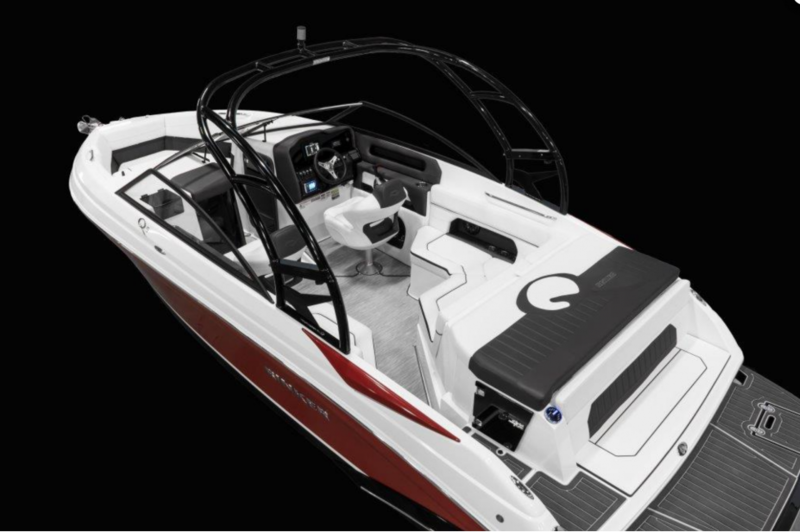 The Q5OB was originally planned to offer engines ranging from 250HP to 350HP. 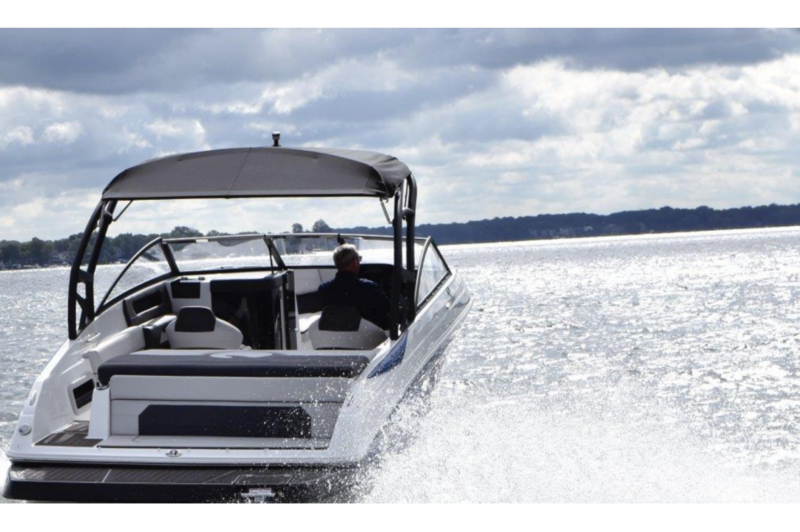 After the prototype boat was tested with a 300HP motor, it ran so well (and fast) that the 350HP option had to be dropped.